We’re going to be using Laravel 5.4. B. A reply belongs to a thread, and belongs to a user. Next we have a command to make the Thread model with a migration and a resourceful controller. Laravel is bundled with a command line tool called Artisan that assists us in building our application. If you have used Laravel before MySQL will be no sweat for you! Close out of MySQL with Ctrl + C.
Create the file to store variable specific to your computer. This is covered in the .gitignore file, therefore will not be checked in to git version control. Migrate the database using artisan. Download Sequel Pro if you do not have it. Connect to the database using their friendly GUI. Use Sequel Pro to connect to MySQL in order to easily view database records. You will see a new Reply table. The next part is by far the most complicated… seeding the database. Seeding the database means that we are going to generate and pre-populate data (such as Threads, Replies and Users) so our application is not empty and we have real records to play with. We are going to generate mock data for Threads. If you remember, in the create_threads migration file we defined threads as having an id, user_id, title, body and timestamps. We use the Faker PHP library to generate this fake data. In the above snippet is automatically loaded by Laravel. The first part creates some Users. In the second part, we define a new factory for creating Threads. Faker generates bodies and titles. For the user_id section it creates a new user, persists it to the database and then associates the id for that user with that Thread. Back at the command line fire up the tinker command. After that we are going to make a new factory and create 50 threads with their associated users. 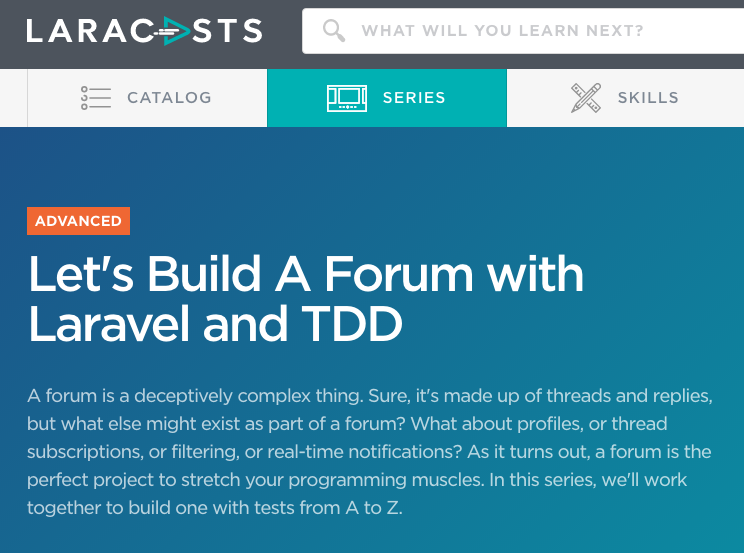 Now our Threads and Users MySQL tables are full of data for us to use and play with! There are 50 random threads that are associated with fake Users. Create another Factory definition at the bottom of the database/factories/ModelFactory.php file. Refresh the database using Artisan. The below command will delete all of our data and run these commands again from scratch. These commands will recreate our Threads as we did previously and then will generate 10 replies to each thread and associate the replies with the thread via the thread_id. Below are some further reading resources on seeding databases and Model Factories in Laravel 5.4. In this post we have set up the database, viewed in in Sequel Pro and mocked out our data using Factories. Go sign up! Thanks for reading. Tutorial Part 2 available here. 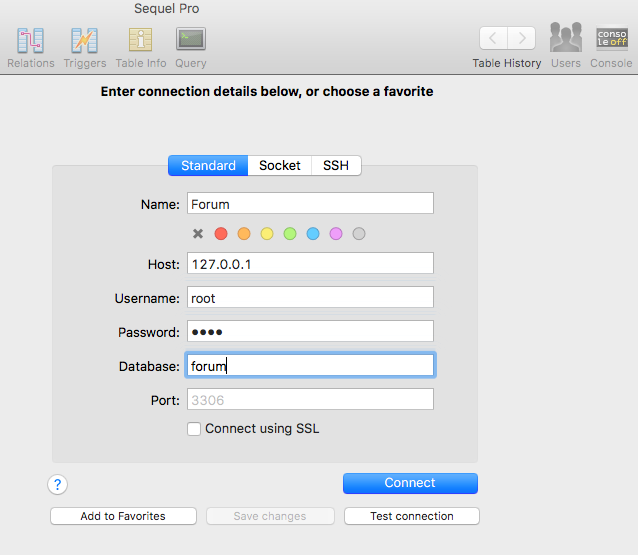 Check out this article for creating a database using Sequel Pro instead of the command line. You connect to MySQL and then run a create database query. After the database is created running php artisan migrate will create the tables for your Laravel app.